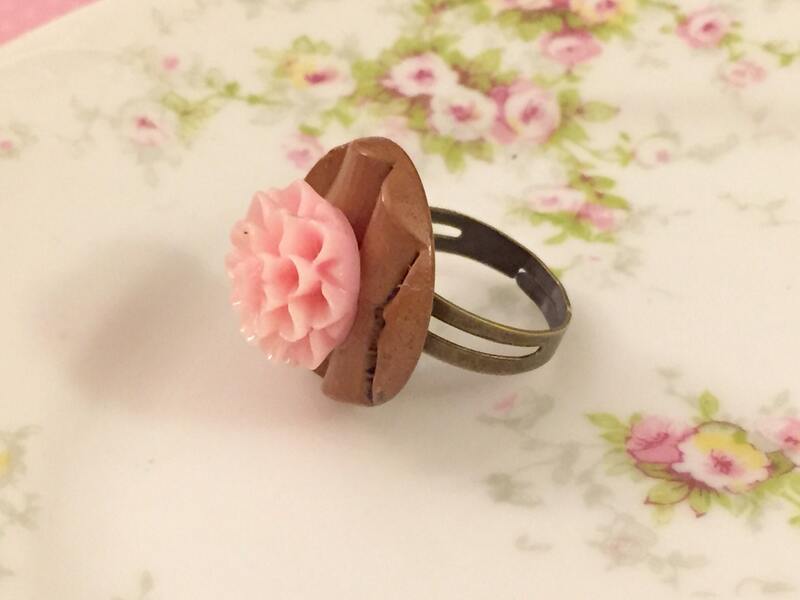 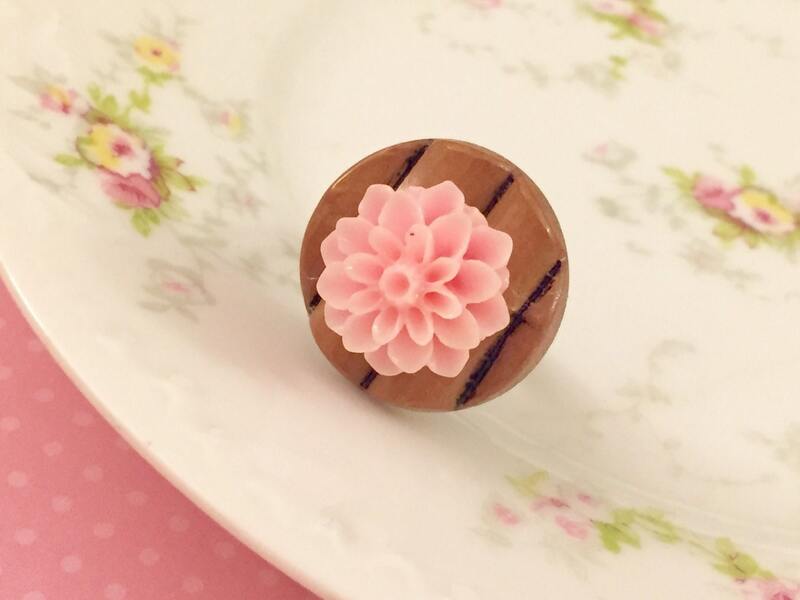 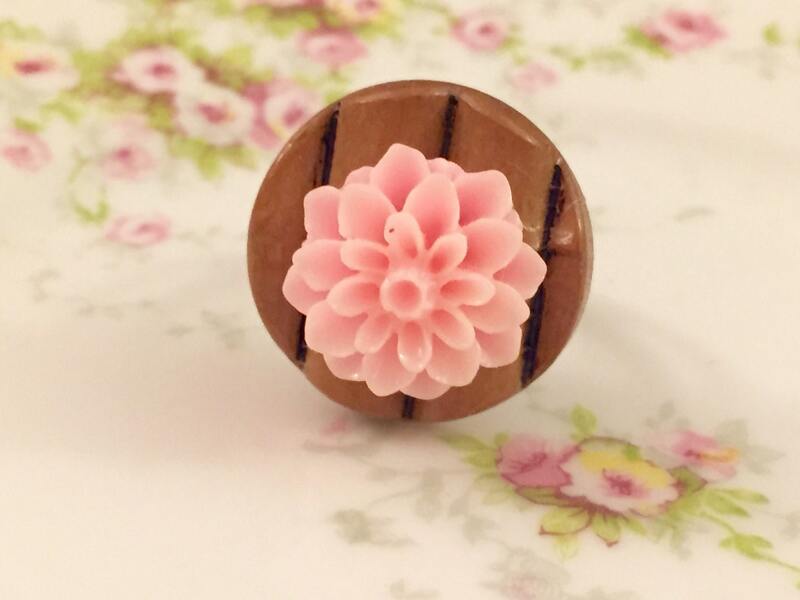 I made this super pretty ring with a pink chrysanthemum atop a bamboo looking button. 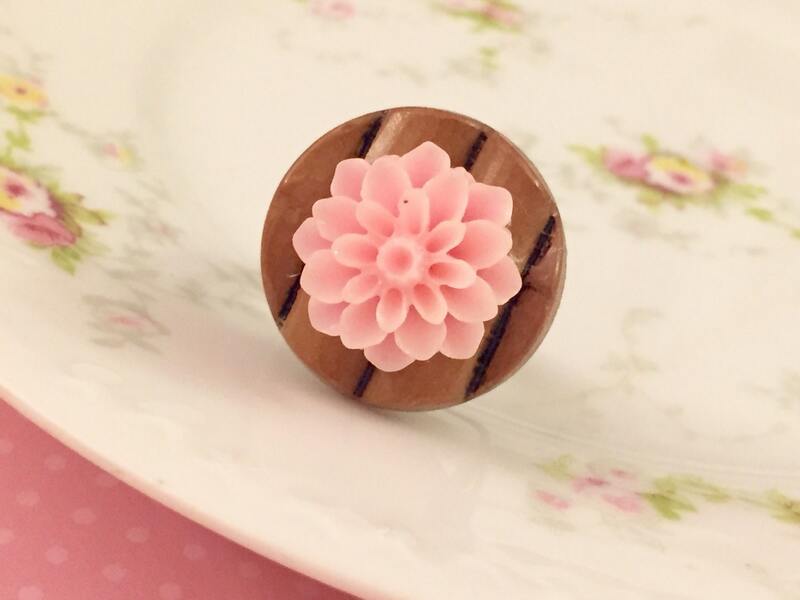 The buttons and cabochon were securely affixed to one another and an adjustable ring base with professional grade jewelry epoxy. 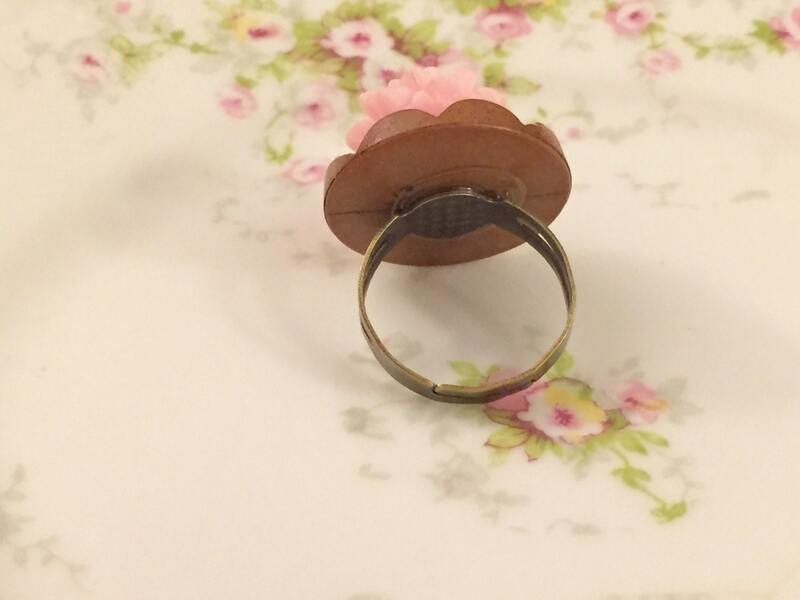 You are purchasing the ring shown in the photographs measuring about 7/8 inches in diameter.